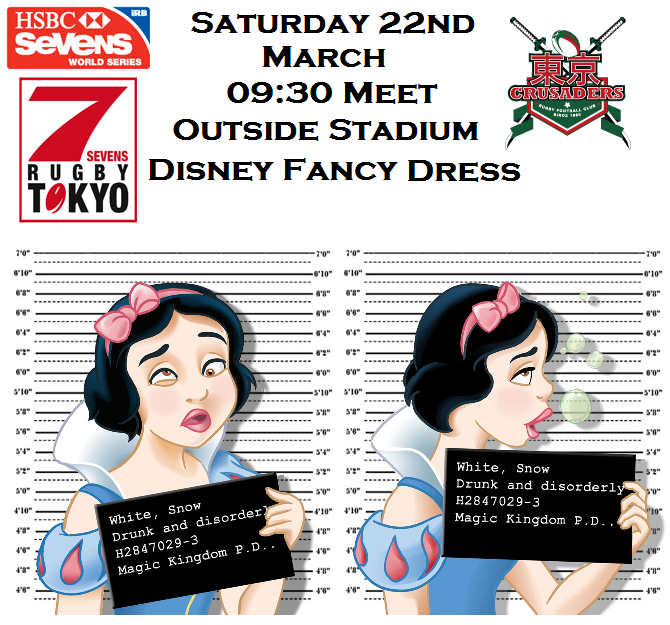 The Tokyo 7s is nearly upon us and over the last week or so we have been in talk about the annual trip up there to watch rugby and drink alcohol. As we have a game on the Sunday it has been decided that Saturday the 22nd is the best day for our debauchery. We have decided it will be Disney fancy dress, if you cant be bothered to make your own Don-ki sells costumes for a small price and nobody is going to care if you are spilling out (props). The meet time on there is a guideline only (As I know its a bank holiday on the Friday). Hope to see as many people there as last year.